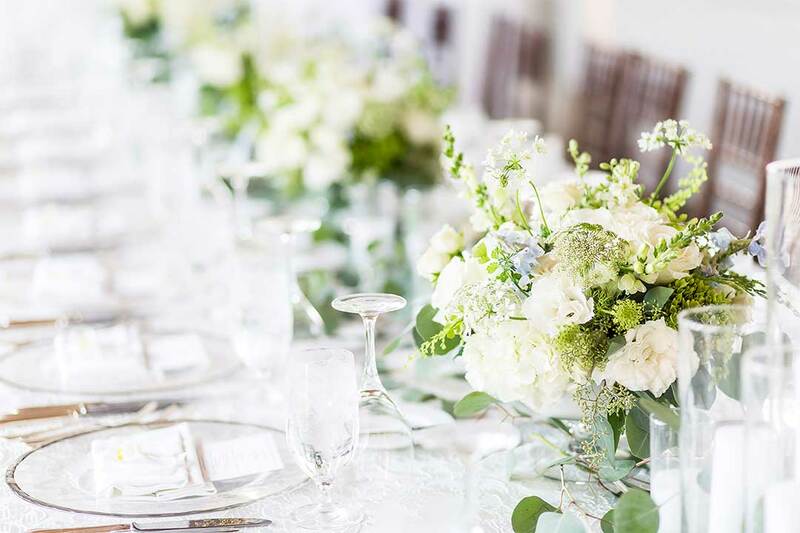 Expert advice on how to stay focused on planning your dream wedding, perfect wedding flowers, and encapsulating the essence of who you are as a couple, for your big day! I’ve been a wedding florist for over 20 years and no two couples I have met have ever been the same. This is a good thing, no actually it’s a beautiful thing! But for that very reason, there is not a one way approach to start planning for your wedding. 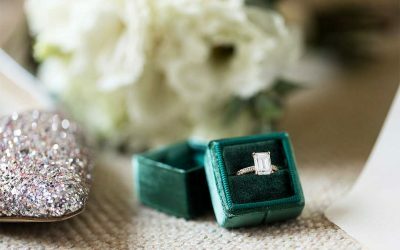 Let’s face it, once the initial excitement of the proposal simmers, reality sinks in that a wedding can be expensive, stressful and just plain overwhelming. Where to start? What does my mother want? Which Wedding dress? What do my friends and family expect? East coast or West Coast? Beach or City? Holy s**t, I have to invite them? Yup, there it is, the spin cycle of planning a wedding! When I sit down with couples for the first time, I try and spend the first chunk of time getting to know who they are as a couple. I want to experience their energy and dynamic together. If one of them isn’t present at the meeting, I ask questions to the one who is present. How did you meet? Tell me about the proposal. What are some things they enjoy doing together? Once I start to get the sense of who they are as a couple, I ask them a simple question: What are your top 3’s? For example, “Food, Flowers and Photography” or “Venue, Wine and Flowers”. (Notice how I put flowers in there both times? I’m no dummy). These are areas you should commit to not skimping on. They are going to make you the happiest as well as add to the experience of your loved ones who have gathered to celebrate you. These are the details everyone will notice as a reflection of who you are. At the end of the day, that’s what matters the most! 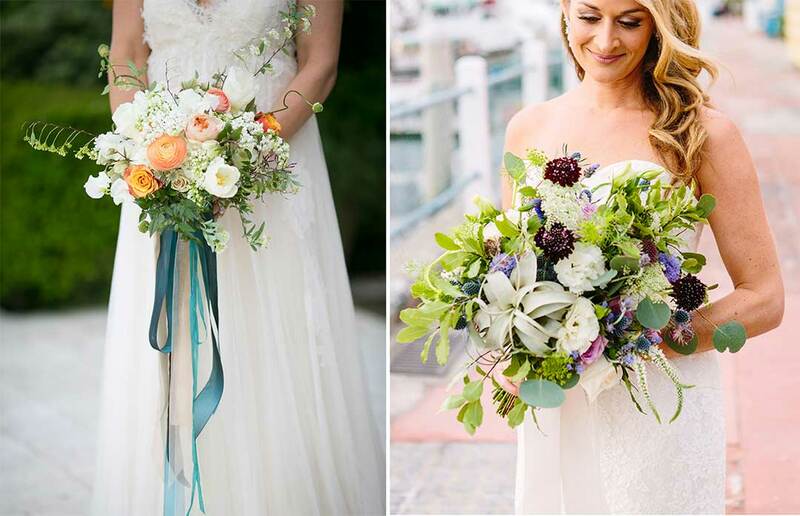 Let’s talk wedding flowers. If flowers are one of your top 3, does that mean everything has to be dripping in flowers? Certainly not. Unless of course you want it to, in which case, make way for our flower trucks! (beep! beep!). But I find that most couples have their floral vision as a style, such as loose garden florals. Or they gravitate towards a particular flower specimen, like a peony or garden rose. All of this is critical intel for me as I begin to conceptualize where to focus your floral dollars. 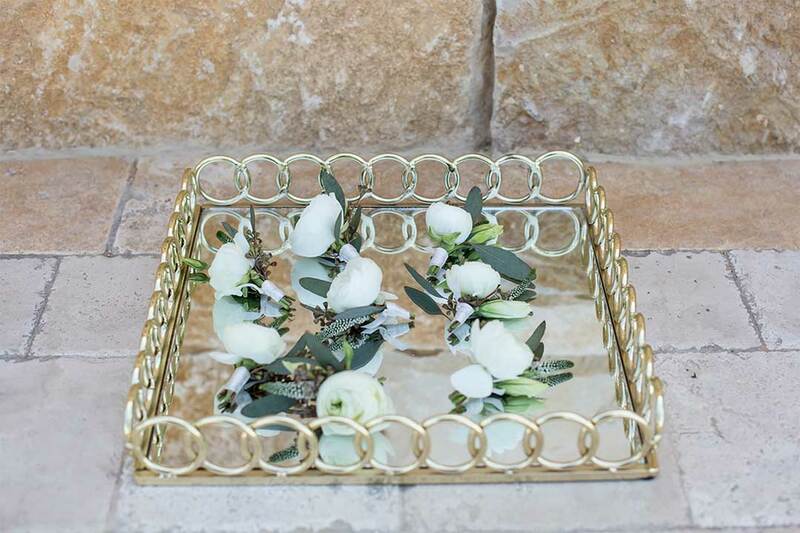 If your ceremony is going to be an easy breezy 20-minute ceremony, let’s keep that area simple, elegant and understated, while focusing on your reception tables which will be more extravagant, and an absolute reveal to your guests’ experience. Lastly, I beg of you, don’t skimp on those finishing touches. 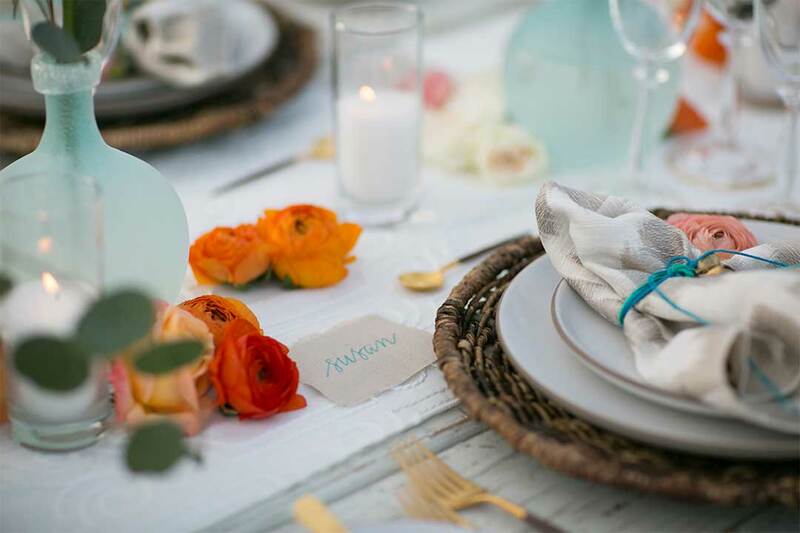 A delicately placed bloom on each napkin has such a lasting impact – it’s like a personal thank you to each and every guest who has gathered there to celebrate you. Don’t want to spend the extra money? Consider ditching the “party favor” (gah), and save your guests the pain of having to keep that bottle stopper or scented candle with your names on it. Sorry, sometimes the truth hurts. Alright, time for some specifics. Your personal flowers consist of anything that’s dedicated to a specific person: bridesmaids, groomsmen, parents, etc. A bridal bouquet is our showgirl if you will. It’s has all of the premium elements the brides loves the most, without skimping on anything. Perhaps we edited peonies out of the ceremony structure due to expense, welp, the bridal bouquet is going to have stunning peonies in all their glory! As for your bridesmaids, I tend to gauge this bouquet on how many bridesmaids we have. 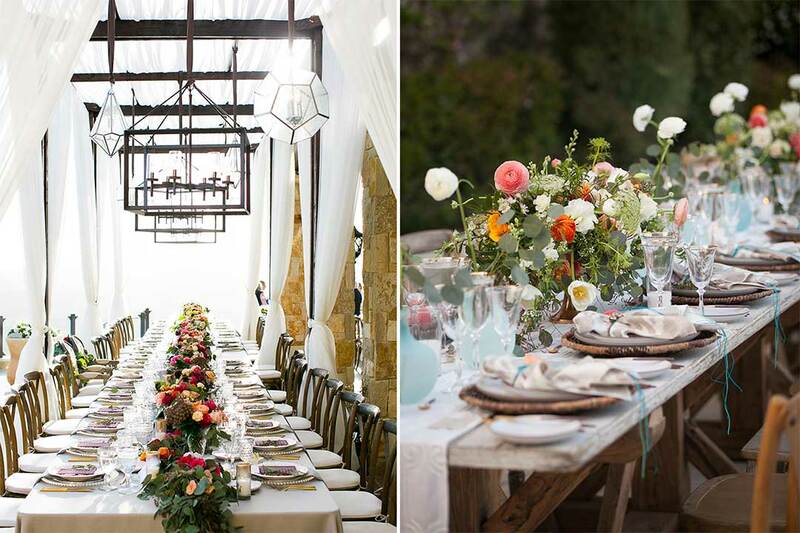 If it’s 3 or more, let’s keep their blooms petite and sweet, no peonies – as we don’t want to overshadow the bride. Fellas, your boutonniere can be super cool too! Touches of blooms to correspond with the bouquets, but these can be mis-matched, always small, and full of fun textures. Mom’s can be tricky characters – wrist corsage, hand tied posy or nothing at all? I beg of you, ask them what they would like. Even if they prefer different things, we will make sure they are cohesive and of equal elegance. Wrist corsage pros and cons: very traditional and classic but interferes with jewelry. Hand-tied posy pros and cons: adorable and elegant but not hands-free. I’ve lost count of how many Mom’s have tracked me down on a wedding set up asking me to convert their corsage or posy…please ask them ahead of time. Your ceremony area will be the first experience of your guests. It must reflect YOU! Is it a stunning arch in a lush garden with wild untamed blooms and vines? Or perhaps it’s a dramatic chuppah, covered in flowers which puddle to the ground, with candles in every possible direction. Or an overlook from a stunning mountaintop with a blanket of petals leading you to your beloved. 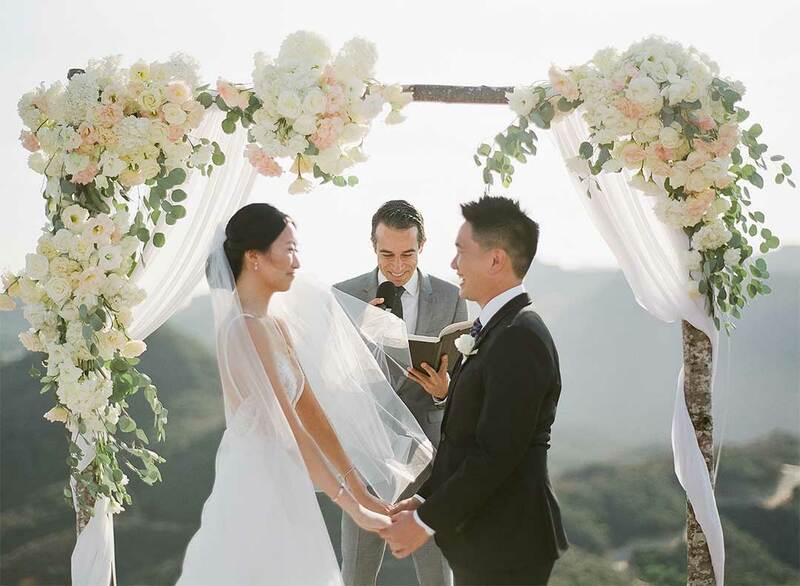 Even if your ceremony site isn’t covered in flowers, it must be done with elegance and thoughtfulness to who you are as a couple. This is where the magic of the day begins. We don’t want a dry eye in the room. While your guests congregate for a cocktail after the “I do"'s they also have a small job to do: Find their table assignments! 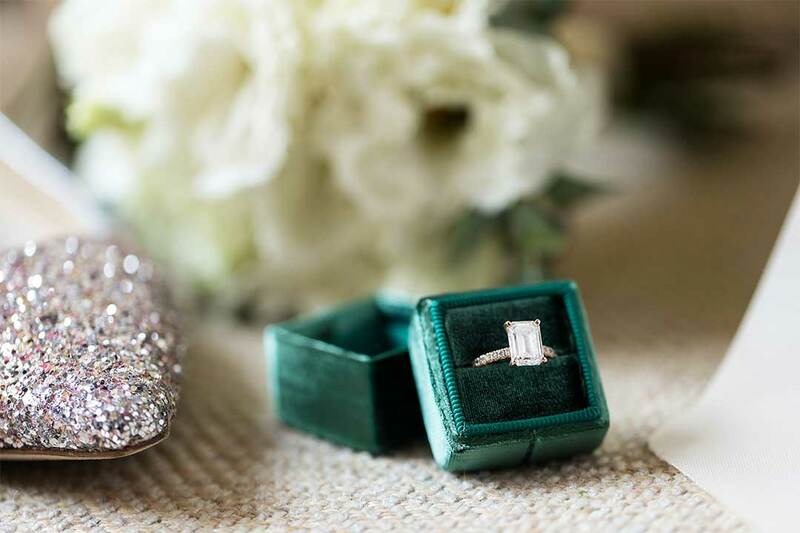 There are about 101 ways to approach this but remember this is a transitional area – It’s a 1-hour pit stop if you will, between ceremony and reception – so don’t over think it, but don’t neglect it either. Mostly, be considerate of your guests experience. If you have 500 guests, a table filled with tented cards will look like a stampede of elephants ran through it in about 10 minutes. And your guests will find themselves searching high and low for their name that just 5 minutes earlier was perfectly alphabetized. Tented cards on a spacious table work beautifully for a guest list under 150. Consider a tall statement floral in the middle of a round table. This enables you to give your guests enough space to explore, as well as providing them a floral tease into what might be awaiting them in the dining room. Another beautiful trend is using a full length mirror or signage with your guests names calligraphed clearly and large enough for them to find their assigned table at a glance. We will always make sure a gorgeous floral swag can be draped asymmetrically over the corner for some blooming eye candy! Now, it’s time for the big reveal. Your reception is where bread is broken, champagne is toasted, friends are united, families are gathered, speeches are spoken, tears are shed and stilettos are tossed aside for some serious dancing! Your reception tables are ground zero for it all, so let’s make sure they are beautiful, warm, luxurious, and memorable. Because we know that florals were on your top 3 (wink), this is where we step in. If you would like our expertise for your dream wedding, please complete our wedding consultation form.